Wow! 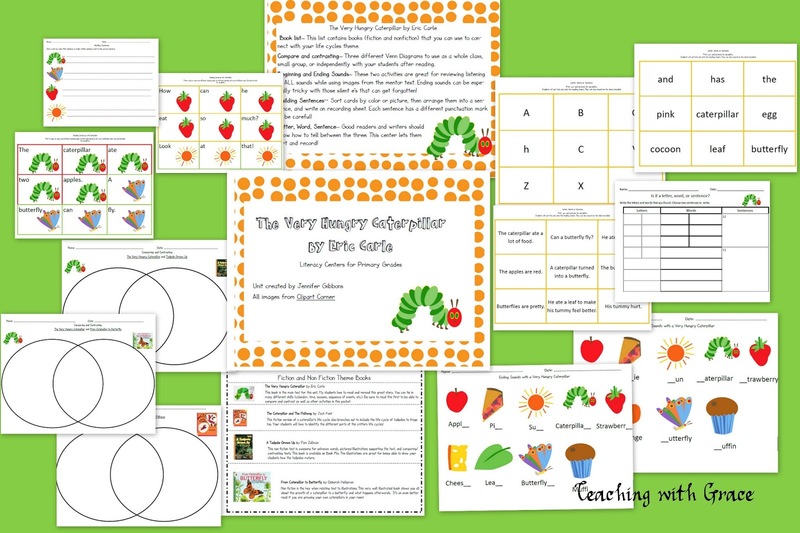 I have been blown away at all the interest in my Very Hungry Caterpillar Math Pack! I decided that I should put together the activities that I used for literacy too. I've listed it up on my store but wanted to give everyone a sneak peek of the great things that my kiddos have enjoyed! If you'd like to win a copy for yourself, you can have one entry for each of the following. Make sure that you leave a comment with your e-mail for each of them. I will pick a winner on Tuesday (2/16) at 8:00. 1.) Leave a comment with your favorite type of literacy center. I can't wait to see who wins! I love to giveaway just as much as like to win myself. It's so exciting! !